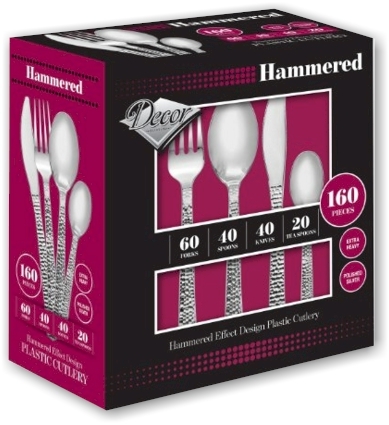 Amazon has dropped the price on this double set of 160-piece Decor Hammered Effect Design Plastic Silverware, down to $22.99 with free Prime/SuperSaver shipping, which comes to $11.50 per set! This is the lowest recorded Amazon price on this beautiful disposable silverware. If you've been buying the Reflections set year after year, as we have, this new "hammered" pattern is nice change of pace, and you cannot beat this price.